The horny layer, or surface, keeps moisture in the skin. If the skin continually loses moisture even after sufficient hydration, it can be an issue within the epidermis that acts as a moisture barrier, which is a condition called TEWL (Trans Epidermal Water Loss). TEWL is a dermatological term used to indicate the evaporation rate of moisture through through skin layers to the surface. When skin becomes dry and dehydrated, it can feel rough and look dull. This is when lines and wrinkles can appear and continue to develop. Dry skin should be moisturized, daily and at night. Hydrated skin will react better to cleansing, as dry skin can be irritated with harsh cleansers or scrubs or vigorously scrubbing the skin. When showering, avoid washing face directly under the showerhead. Instead, use a gentle cleanser, formulated for sensitive or dry skin and use a warm (not hot) cloth to gently wipe off. After cleansing, pat the face dry with a soft towel, and apply lotion to the skin while its still warm. This step is crucial, since the skin has lost its protective sebum layer in the shower. In order to prevent further moisture loss, apply an additional layer of a cream, to form a hydrated and protective barrier on the skin surface. 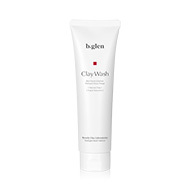 Gently removes dirt and other impurities while leaving area hydrated. 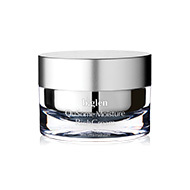 Deeply moisturize with targeted product, allowing skin to receive and absorb crucial hydration. Stimulates natural cell turnover, helping slough off dead or dry skin to return balance and radiance. Seal in moisture, keeping skin hydrated to help prevent future lines and sagging. Targeted and effective treatments for dehydrated skin. Absorb quickly into skin, nourishing and helping complexion return to a natural radiance. A simple 4-step skincare collection that targets the horny layer of the skin. 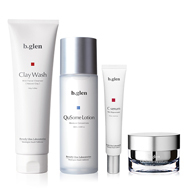 Deep moisturizes and treats to encourage long-lasting hydration and healthy-looking skin. Concentrated serum that helps naturally slough off dead skin, leaving skin feeling tightened as it promotes a healthy glow. Formulated with Vitamin C.
Locks in crucial moisture, to help strengthen barrier function and keep skin hydrated.